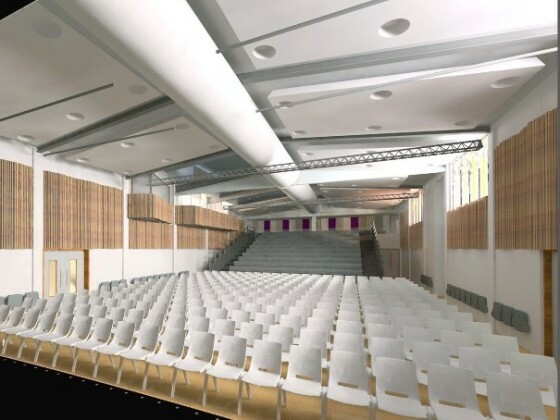 Putney High School commissioned a new Performing Arts Centre in 2013 to modernise and extend their existing school hall with viewing gallery and event space. 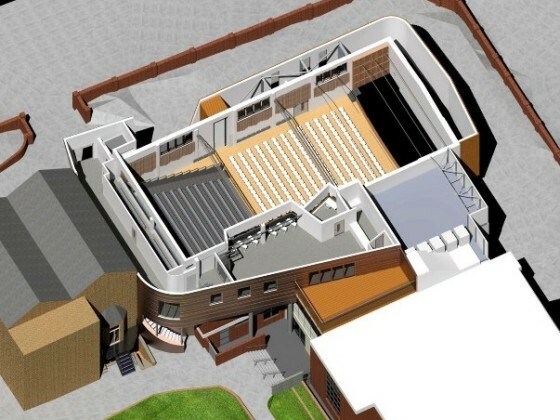 The works include expanding the large school auditorium with additional new steel framed structures wrapping around the existing building on two sides. The structure is partly built off pad foundations from the previous scheme and connected into existing columns of the existing building. In addition a large gallery space and outdoor roof terrace were added within a new structure which spans over the existing science block. The complexities of construction included a live school site (cafeteria and teaching rooms), integration with the old structure, framing arrangement over and around the existing building and phasing of the project to allow continuous operation.